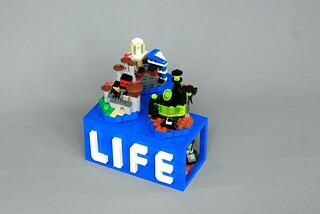 An entry for the LEGO Life logo contest on Rebrick. Under each ‘stud’ on the brick, there is an 8×8 minifig scale vignette, in the same theme as the microscale build above it. I tried to represent three of the core themes of LEGO: City, Space, and Castle. This was a very enjoyable build, as I got to dabble in several themes, but it still all came together fairly quickly and easily. Awesome. 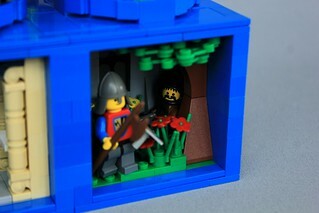 Such a fun idea - it would be neat to think that every brick we build with has it's own little world inside. I know as a castle guy I shouldn't say this, but my favorite part is probably the microscale Blacktron base. Bruce N H wrote: Awesome. 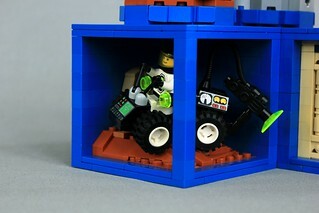 Such a fun idea - it would be neat to think that every brick we build with has it's own little world inside. I know as a castle guy I shouldn't say this, but my favorite part is probably the microscale Blacktron base. Well, if it makes you feel any better, I would say the micro Blacktron base is one of my favorite parts too. Glad you like it!